The Municipal Finance Agency (“MFA”), a public corporation of the Commonwealth of Puerto Rico, was created by Act No. 29 of the Legislature of Puerto Rico, approved June 30, 1972, as amended (the “Enabling Act”), to allow the municipalities of Puerto Rico to access the capital markets so that they might finance more effectively their public improvement programs. The Agency is authorized to issue bonds for the following purposes: purchasing bonds and notes of Puerto Rico municipalities secured by ad valorem taxation, without limitation of rate or amount, on all taxable property within each such municipality and issued in accordance with applicable law, making payments into the respective Bond Service Accounts, Operating Funds or Reserve Accounts of any trust indenture under which bonds of the Agency are issued, funding bond anticipation notes theretofore issued by the Agency to provide funds to purchase general obligation municipal bonds and notes, and refunding any outstanding bonds of the Agency. The Agency is governed by a Board of Directors which is composed of the President of the Government Development Bank for Puerto Rico ("GDB"), the Commissioner of Municipal Affairs and three additional members appointed by the Governor of Puerto Rico, one of whom must be either the mayor or chief financial officer of a municipality. The Commissioner of Municipal Affairs, the President of GDB, and the municipal officer appointed by the Governor of Puerto Rico shall be members of the Board during the period of their respective incumbencies. The other two members shall be appointed for a period of five years. The President of GDB serves as the Chairman of the Board and President of the Agency. As required by the Indentures and the Enabling Act, the Municipal Bonds are general obligation bonds or notes of each Municipal Issuer secured by ad valorem taxation, without limitation as to rate or amount, on all taxable property within the boundaries of the applicable Municipal Issuer. The good faith, credit and unlimited taxing power of each Municipal Issuer are pledged to the payment of its Municipal Bonds. The Municipal Bonds have been issued pursuant to Act No. 64 of the Legislature of Puerto Rico, approved July 3, 1996, as amended ("Act No. 64"), which revised and incorporated into a single statute the provisions of Act No. 7 of October 28, 1954, and of several other laws relating to municipal finance and municipal taxes and made certain changes to such provisions to, among other things, expedite and streamline the procedures for the issuance of municipal obligations, including general obligation municipal bonds and notes. GDB is required by Act No. 64 to give its prior approval to all proposed issues of general obligation bonds and notes by the municipalities of Puerto Rico. Prior to approving any proposed issue of general obligation debt, GDB is required to verify that the municipality has Available Legal Margin and Payment Capacity to incur such additional general obligation debt. As provided by the Constitution of Puerto Rico, the Legislature of Puerto Rico has fixed a limitation for the issuance of general obligation municipal bonds and notes for the payment of which the good faith, credit and taxing power of each municipality may be pledged. The principal amount outstanding of any such bonds and notes may not exceed 10% of the aggregate assessed valuation of the taxable property within such municipality (the "Legal Margin," and the amount by which such municipality's Legal Margin exceeds a municipality's outstanding general obligation debt, the "Available Legal Margin"). Act No. 64 provides that in calculating the Available Legal Margin of a municipality, the amount of outstanding general obligation bonds and notes of such municipality is reduced by the amount of the excess, if any, of the funds deposited in such municipality's Redemption Fund with GDB over the amount of accrued but unpaid interest on such general obligation debt. Act No. 64 also requires that in order for a municipality to be able to issue additional general obligation bonds and notes such municipality must have sufficient "payment capacity." Act No. 64 provides that a municipality has sufficient "payment capacity" to incur additional general obligation debt if the deposits in such municipality's Redemption Fund and the annual amounts collected with respect to such municipality's Special Additional Tax, as projected by GDB, will be sufficient to service to maturity the municipality's outstanding general obligation debt and the additional proposed general obligation debt ("Payment Capacity"). The principal source of payment for municipal general obligation bonds and notes is a special additional property tax (the "Special Additional Tax"), which, as provided by Act No. 83 of August 30, 1991, as amended ("Act No. 83"), may be imposed by a municipality without limitation as to rate or amount. Under Act No.64, each municipality is required to levy the Special Additional Tax in such amounts as shall be required for the payment of its outstanding general obligation municipal bonds and notes. The Special Additional Tax is collected on behalf of the municipalities by the Municipal Revenues Collection Center, an independent municipal entity ("CRIM", by its Spanish acronym). The Commonwealth of Puerto Rico has not conducted a real property reassessment since 1958. Therefore, all real property taxes collected by CRIM, including the Special Additional Tax, are based on the assessed valuation of real property in fiscal year 1957-58. The Special Additional Tax is available for the payment of debt service on general obligation debt of the municipalities, except for any Special Additional Tax collected on the real and personal property of the privatized Puerto Rico Telephone Company ("PRTC") for those municipalities that elect not to deposit such PRTC property taxes in their Redemption Funds pursuant to Act No. 95 of the Legislature of Puerto Rico, approved June 24, 1998 ("Act No. 95"). Pursuant to Act No. 95, which amended Act No. 83, each municipality has the option of either: depositing the amounts collected by CRIM relating to the Special Additional Tax on the real and personal property of PRTC in that municipality's Redemption Fund, or using such amounts collected by CRIM for any other lawful purpose such as the payment of the municipality's operating expenses. CRIM is required to deposit into each municipality's Redemption Fund with GDB (1) the amounts collected with respect to such municipality's Special Additional Tax (including the annual appropriations from the Commonwealth's General Fund to compensate each municipality for the exemption from the Special Additional Tax portions of the $15,000 Real Property Exemption and the $50,000 Personal Property Exemption), (2) any additional amount derived from such municipality's Basic Tax and (3) other available revenues, to the extent necessary to pay principal of and interest on all general obligation indebtedness of such municipality. It has never been necessary to transfer into any municipality's Redemption Fund moneys derived from such municipality's Basic Tax. Act No. 64, as amended by Act No. 44 of the Legislature of Puerto Rico, approved June 13, 2001 ("Act No. 44"), provides that the Special Additional Tax and other amounts deposited in a municipality's Redemption Fund are to be utilized first for the payment of the principal of and premium, if any, and interest on its general obligation bonds and notes. To the extent that such funds exceed the amount necessary to cover twelve months' debt service on such municipality's then outstanding general obligation indebtedness, as determined by GDB, Act No. 64 requires GDB to disburse the excess to the municipality, at its request, once during each fiscal year. Revenues of the municipalities of Puerto Rico are principally derived from ad valorem property taxes and Commonwealth contributions. Act No. 83 authorizes municipalities to impose the following property taxes: the Special Additional Tax, without limitation as to rate or amount, which as mentioned above is available primarily for the payment of a municipality's general obligation debt; and a basic property tax to fund operating expenses up to a maximum amount of 6% of the assessed valuation on all real property within such municipality and up to a maximum amount of 4% of the assessed valuation on all personal property within such municipality (collectively, the "Basic Tax"). Act No. 83 also continued in effect a special property tax imposed by the government of 1.03% of the assessed valuation of all real and personal property within Puerto Rico (other than exempted property) (the "Special Tax") for the exclusive purpose of servicing the government's general obligation debt. A portion of the Basic Tax levied by a municipality may be transferred to other municipalities by virtue of the operation of the Matching Fund. Interest is charged on delinquent taxes at the rate of 10%, with a penalty of up to 10% of the tax owed in the case of real property and up to 15% of the tax owed (or up to 40% if the delinquency also involves failure to file the required tax return) in the case of personal property. As mentioned above, under Act No. 64, each municipality is required to levy the Special Additional Tax in such amounts as shall be required for the payment of its general obligation municipal bonds and notes. Principal of and interest on all general obligation municipal bonds and notes and on all municipal notes issued in anticipation of the issuance of general obligation bonds also constitute a first lien on the municipality's Basic Tax. Accordingly, the municipality's Basic Tax would be available to make debt service payments on general obligation municipal bonds and notes to the extent that the Special Additional Tax, together with moneys on deposit in the municipality's Redemption Fund, are not sufficient to cover such debt service. It has never been necessary to apply Basic Taxes to pay debt service on general obligation municipal bonds or notes of any Municipality. Act No. 83 provides for an exemption from the Special Additional Tax and Basic Tax on the first $15,000 of assessed valuation of primary personal residences of individuals (the "$15,000 Real Property Exemption") and an exemption from personal property taxes on the first $50,000 of assessed valuation of property owned by businesses that have gross revenues of less than $150,000 per annum (the "$50,000 Personal Property Exemption"). Recognizing the importance of the real and personal property tax for the fiscal requirements of the municipalities, the government makes annual appropriations to the municipalities from its General Fund as compensation for the amount of the revenues foregone owing to these exemptions. However, under Act No. 83 such appropriations will not be provided to cover any amount of property taxes, which any municipality elects to forgive for primary personal residences registered for the first time after January 1, 1992, and personal property of certain businesses registered for the first time after July 1, 1991. Act No. 83 and Act No. 80 of the Legislature of Puerto Rico, approved August 30, 1991, as amended ("Act No. 80"), also provide for the following central government contributions to the municipalities: 2.50% of the net internal revenues of the General Fund for fiscal year 2004-2005 and thereafter; 35% of the annual net revenues derived from the operation of the additional lottery system created by Act No. 10, of the Legislature of Puerto Rico, approved May 24, 1989, as amended (the amounts in clauses and , collectively, the "Designated Commonwealth Contributions"); an annual amount from the central governments's General Fund to compensate the municipalities for the $15,000 Real Property Exemption and the $50,000 Personal Property Exemption; and an annual amount from the Commonwealth's General Fund to compensate the municipalities for the exemption of 0.20% of the assessed valuation of all taxable property within the municipalities (the amounts in the clauses, with the exception of the annual contributions from the Commonwealth as compensation to the municipalities for the Special Additional Tax portions of the $15,000 Real Property Exemption and the $50,000 Personal Property Exemption, are defined as the "Commonwealth Contributions"). The municipal revenues described above are collected or received by CRIM on behalf of the levying municipality and are deposited by CRIM into the Redemption Fund and the Matching Fund, with the exception of the Special Tax which is deposited into the Commonwealth's debt redemption fund. Act No. 80 also established the Municipal Matching Fund (the "Matching Fund") into which CRIM is required to deposit with GDB the total amount collected on account of Basic Taxes and the Commonwealth Contributions. Certain moneys in the Matching Fund (the "Equalization Moneys") are available to CRIM in order to guaranty that each municipality will receive revenues in an amount at least equivalent to that received from Equalization Moneys in the previous fiscal year. The Equalization Moneys are made up of: the Designated Commonwealth Contributions; and a portion of the Basic Tax equal to 1% of the assessed value of personal property and 3% of the assessed value of real property collected by each municipality (the "Designated Basic Tax"). All Equalization Moneys are allocated to the municipalities as follows: first, as may be required so that each municipality receives at least the same amount of aggregate revenues received during the previous fiscal year on account of Equalization Moneys, using first the Designated Commonwealth Contributions, and then, to the extent necessary, the Designated Basic Tax (it has never been necessary to use the Designated Basic Tax to perform such equalization); second, Designated Basic Taxes remaining in the Equalization Moneys are allocated to the municipalities in proportion to the amount by which revenues from their Basic Taxes in such fiscal year exceed their revenues from Basic Taxes in the previous fiscal year; and third, to all municipalities based on certain economic and demographic criteria specified in Act No. 80. The remaining Matching Fund moneys are returned to the municipalities whose Basic Tax levies gave rise to such remaining moneys, and are used, with their other revenues, to meet operating expenses. Prior to July 1, 1993, the Secretary of the Treasury collected all municipal taxes upon real and personal property (which includes intangible property) in each municipality. Since July 1, 1993, and pursuant to Act No. 80, CRIM has undertaken all of the Secretary of the Treasury's responsibilities relating to the collection and distribution of such taxes. CRIM is responsible for the appraisal, assessment, notice of imposition, and collection of all municipal property taxes. 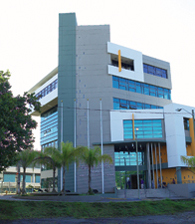 All property taxes collected by CRIM are deposited at GDB, which acts as fiscal agent to the government and its municipalities. CRIM is governed by a board (the "CRIM Board") composed of the President of GDB, the Commissioner of Municipal Affairs and seven mayors of municipalities in Puerto Rico. The mayors elected as members of the CRIM Board hold office for a term of four years (and not more than two consecutive terms) and until their successors have been appointed. CRIM's principal offices are located at State Road 1, Km. 17.2, San Juan, Puerto Rico 00926. In addition, CRIM operates nine regional centers located in the municipalities of Aguadilla, Arecibo, Bayamón, Caguas, Carolina, Humacao, Mayagüez, Ponce, and San Juan. Real property is assessed by CRIM and personal property is self-assessed. These assessment values have not been adjusted to reflect the various applicable real property and personal property exemptions, such as those described under Municipal Revenues above and other exemptions granted under Puerto Rico tax incentives laws. As mentioned above, no real property reassessment has been made in Puerto Rico since 1958. All real property taxes are assessed on the basis of the replacement cost of the related real property in fiscal year 1957-58 values, regardless of when such property was constructed. For more information on the MFA as a tax-exempt securities issuer, including its most recently released financial statements, click HERE.